Craig Heath, 36, has not allowed his blades to dull or rust since his last professional competition at the 2001 American Open Professional Championships, where he won the bronze. “If anything, things have sped up,” said the 1998 World Professional Bronze Medalist, who’s been performing all over the world for the past 10 years. For the next eight years of his amateur career, Heath competed on both the national and international level, gaining notoriety for his unique spins. “Three years after I began skating, an instructor noticed me spinning and encouraged me to do more, while showing me different techniques,” said Heath. Practice paid off and Heath improved his spinning techniques dramatically, and as a result, they became the highlight of his programs. Heath’s parents were always supportive of his skating. “They still are,” he said, adding that he was lucky to have parents who could both afford and appreciate his love for the sport. Although Heath has pro experience under his belt, he still takes occasional lessons. “Brian Wright did many numbers for me,” said Heath. 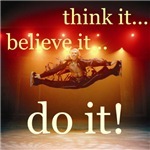 “I still have one that he choreographed that I have not performed yet. 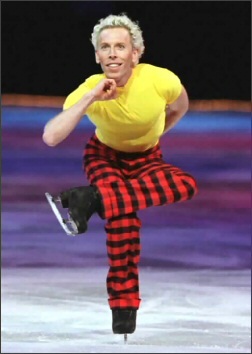 I am saving it for the right time.” Heath has also worked with with Toller Cranston, Jamie Isley, Cindy Stuart, Robin Cousins, Richard Swenning, and Jeri Campbell, just to name a few. Heath, who has been the president of the Professional Figure Skaters Cooperative (PFSC) for the past four years, now spends what available time he has teaching in the summer. “I just worked with the Danish men’s champion, Michael Tyllesen,” said Heath, who works with many other talented kids in Sun Valley, Idaho and is known as the ‘spin’ coach. As with his preference for music, Heath also enjoys movies that make him feel good and have inspiration. “I don’t have much time to watch many movies,” he maintained, adding that he is currently reading Toller Cranston’s Ice Cream. When not promoting professional skating, which takes a lot of time and energy, Heath likes going to Starbucks, doing Pilates, Yoga, biking, reading, hiking, writing articles, driving, going to the beach, and visiting with friends. While he doesn’t have time for other sports, the health conscious vegetarian likes to collect properties. Now that vacation time is over, Heath is currently training in order to prepare for shows in Sun Valley this summer, as well as a competition. “I still like to do pro competitions,” said Heath. “That is why I accepted the offer to compete in the 2004 Major League Figure Skating Championships (MLFS) in Lakeland, Florida in June.” After the MLFS competition, Heath will be getting ready to tour with Holiday on Ice for the Hollywood production in Europe next season. Additional info pertaining to Heath’s tour schedule can be found at www.craigheath.com.” This site was was created to keep my summer students involved with where I was (since I travel all the time) and with what I am doing,” said Heath. “I wanted them to feel like they could contact me for any reason while I was away. It has been a blast hearing about what new jumps they are doing, what competitions they have won, etc.” Heath’s site also has a Travel Log that he keeps updated with fun photos and stories of his travels. “I probably have more fun doing this than the people reading it!” he laughed.